As part of an organized trauma system, air medical services cut the injury-to-operating-room time significantly. Medical helicopters, dispatched simultaneously with ground EMS, can give over 54% of the US population access to a full-service trauma center within 60 minutes that they otherwise would not have. Helicopters are used for the transport of patients from the scene of an injury to a hospital, and for shorter flights between smaller hospitals and trauma centers or specialty hospitals. Helicopters fly point-to-point, minimizing the time out of hospital, and avoiding the traffic delays experienced by ground ambulances. Air Medical Services are a limited resource, which over time has prompted the need for guidelines on when to use helicopters for transports. Criteria has been defined at state, regional, and national levels to ensure proper use of these valuable services. Public safety agencies such as EMS, Fire and Rescue, and Hospitals can receive training from Mercy Flight Central on proper utilization of our services. 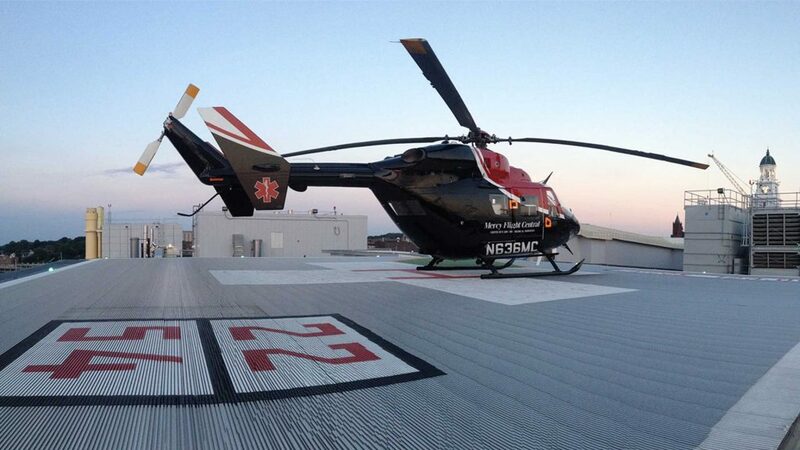 For general guidelines on utilization of air medical services, visit the New York State Department of Health website. We continue to reach out to county-based 911 centers to educate and promote the proper use of our service. These centers are encouraged to take advantage of our air medical communications educational seminars where training is focused on the benefits of early notification. The goal of this training is to bring about an understanding of the functions performed by our Communication Center from the beginning of a call request throughout the duration of the transport. Agencies are informed of our policy of contacting the closest air medical provider in the event that our aircraft are unavailable, giving patients the best chance at receiving the crucial treatment necessary for their care. Critical care educational seminars are designed to educate hospital personnel on the proper utilization of our air medical service. A strong emphasis is placed on providing appropriate patient information at the forefront of initial contact. Hospital personnel are also instructed in aircraft safety procedures to be followed when loading and unloading patients. Our goal during this seminar is to bring about a better understanding of the level of care available through this service, the benefits of rapid air medical transport, and the combined experience of the nurse/paramedic teams caring for their patients. Mercy Flight Central provides ground school training to any EMS or public safety agency in the region. Over the years this program has been developed and evolved into an interactive teaching session. This educational presentation is geared specifically for the requesting service. Air medical utilization, request procedures, landing zone operations / safety, and critical care transport team capabilities are all discussed at a typical session. During the past year, Mercy Flight Central has been invited to and participated in several post-incident critiques. These have been beneficial opportunities to discuss all of these topics and answer questions shortly after an incident while issues are fresh in the minds of the responders. For more information on scheduling safety training, send us a message through our Contact Us page.